Hello Admiral Summers, I am Admiral Moore. As of right now you are transferred out of Special Ops and will now command the 2nd battlegroup. 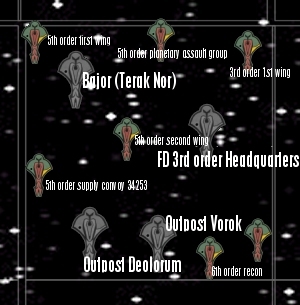 Thanks to you and Colonel K'mok, Captain Stewart has been able to update us on the Cardassian Occupation of Bajor. She has also helped us decode the Transponder frequencies for the Cardassian fleet. We can now track fleet movement from great distances. Now, Thanks to Captain Stewart, we can track Cardassian vessels deep inside their territory, we will be able to make larger moves against their positions. Now with detailed knowledege of their defenses, the time has come to place a foot hold insided Cardasssian territory. 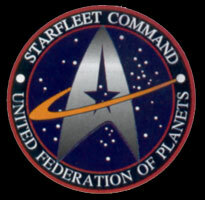 Admiral, you are to take the 2nd Battlegroup, and capture the Bajor System. I leave it up to you to plan the assault.